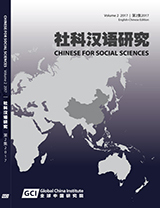 Chinese for Social Sciences – These are books for the study of the Chinese language, a branch of 'Chinese for Specific Purposes' (CSP), for example 'Chinese for science and technology' or 'business Chinese'. They will include guidance and tuition on intermediate level reading, advanced level reading, analysis of difficult sentences in English–Chinese translation or in Chinese–English translation, dictionaries of dialect/loan words in English, and phrases/glossaries for the social sciences. It is in Chinese lanuage, edited by Dr Dongning Feng, Senior Lecturer in Translation Studies, SOAS, University of London, published by Global China Press. With the enhancement of interdisciplinary awareness, linguistic methods, such as corpus based discourse, has been applied to sociology, ethnography, cultural studies, psychology, cognitive science and computer science, etc. In the past decade Chinese social scientists are seeking for new methods in analyzing large quantity of texts in addition to quantitative and qualitative analysis. 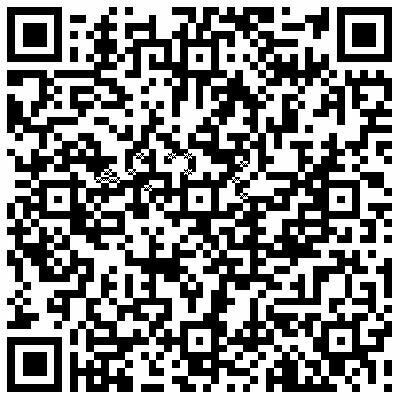 For example, the Contemporary China Social Life Data and Research Center (CCSLC), Fudan University has collected unique set of data on contemporary Chinese social life since 1949, consists of more than 210,000 personal correspondences, over 1,000 books of personal notes, diaries, huge information of the history of personal life, as well as large amount of interview notes, and monographs. It is inevitably adopted as a default resource for the research which language matters. Inspirited by the ESRC Centre of Corpus Approaches to Social Science (CASS) at Lancaster University, CCPN Global engages the CASS, the CCSLC of Fudan University and the RCDC (the Research Centre for Discourse and Communication, Zhejiang University of Media and Communication), together developing the programme of the CACSS. 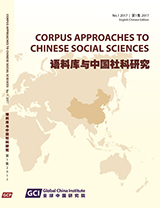 The marks starting point for launching the Corpus Approach to Chinese Social Science in order to introduce related work and engage further discussions with people who are interested in this initiative. Global China Dialogue (GCD) is series of event with the key concepts 'transculturality' and social creativity to enhance public understanding of current global affairs and common interests via public dialogue and discussion between Chinese and non-Chinese academics, experts, professionals and practitioners and interested laypeople, from interdisciplinary and comparative perspectives. 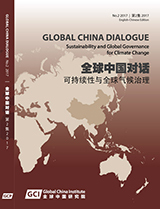 The GCD proceedings series consists of collected work from each of the Global China Dialogue, founded in 2014. 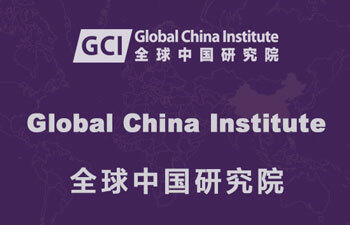 It organized collaboratively by CCPN Global, Lau China Institute, King’s College London,The China Media Centre, University of Westminster, and YES (The Young Entrepreneur Society). 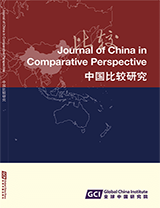 It is edited by Xiangqun Chang, Costanza Pernigotti and David Feng, publishes jointly between Global China Press and New World Press in English and Chinese dual languages. As a fruit of the year of 2015 UK-China Cultural Exchange, volume 1 of the Global China Dialogues Proceedings series is published in both English and Chinese. This volume will also be published in a combined English and Chinese edition, as will future volumes (right cover). Transcultural Experiences with ‘Three Eyes’ – Over the past 500 years, the contacts and exchanges between China and the West are more and more intensive, but the depth of their mutual understanding is still subject to the limitations of various factors. Due to differences in history, culture and ideological confrontation, there are still misunderstandings and even prejudices against each other. The authors of this series are Chinese, either from mainland China or Overseas Chinese, or non Chinese, offering three dimensions or perspectives (three eyes), namely time, space and place, to examine their transcultural experiences comparatively themselves, China, or the countries where they live. China Urbanization Studies – Joseph Eugene Stiglitz, laureate of the Nobel Prize in Economic Sciences, once named urbanization in China and the new technical revolution led by the United States as the two great events shaping the world of the 21st century. British specialist Tom Miller refers to China’s urbanization as “the greatest migration in human history.”This book series will select the best work on Chinese urbanization from inside and outside China, featuring Chinese and non-Chinese perspectives and empirical and policy-oriented studies, as well as macroscopic and microscopic research. Chinese Concepts – This consists include two parts: native Chinese concepts and other concepts seen from a Chinese perspective. For example, 'society building' was proposed by Chinese scholars based on studies of Chinese society. It made a contribution to the existing general sociological concept 'community building. For the latter, every concept is required to have a review section on studies of non-Chinese society in order to form a contrast with the Chinese perspective. It is expected this book series will make additions to related existing studies from studying of Chinese society. Other book series are under delelopment, e.g.